National Geographic: Flint Water Crisis: Sherry Joy, Fire House #3, Martin Luther King Avenue, Flint, Michigan, January 27, 2016. Sherry Joy, Fire House #3, Martin Luther King Avenue, Flint, Michigan, January 27, 2016. 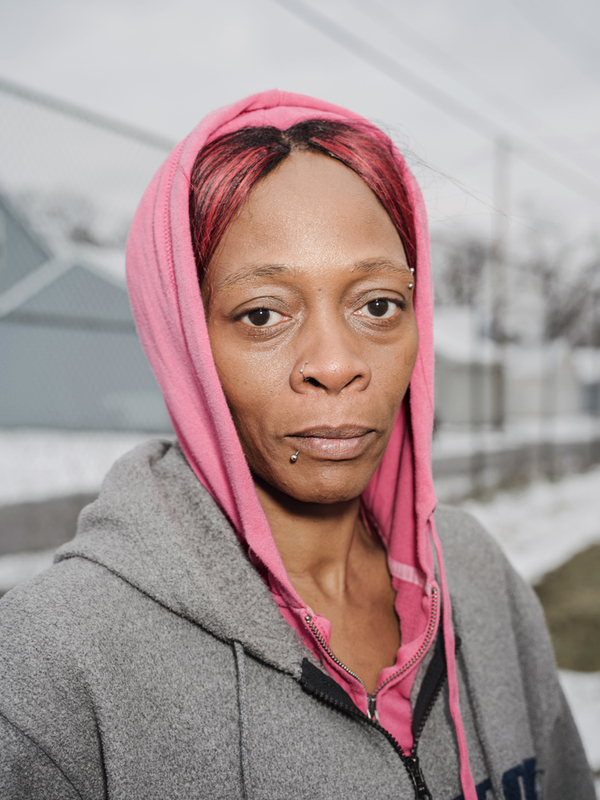 Sherry Joy stops for a portrait on her way to collect her daily allowance of one case of bottled water from Fire House #3, Martin Luther King Avenue, Flint, Michigan, January 27, 2016.